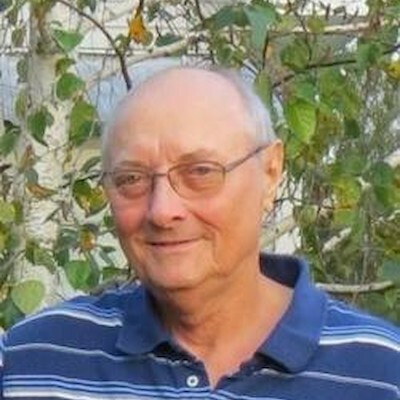 Arthur (Art) Hatzenbeller, 76, of Cumberland, WI (formally of Newport, MN) died peacefully at home after a long, courageous battle with cancer. Art was born November 20th, 1942 in Aberdeen, S.D., to Jacob and Teresa (Kirchgesler) Hatzenbeller. He served in the US Air Force and was stationed at Mt Home Air Force Base, Idaho where he met the love of his life, Marjorie Miller. They were married February 3rd, 1964. They later moved to Minnesota where they raised three children and Art worked for 3M Company for 35 years. After retiring from 3M he and Marge moved to Cumberland where they lived for 16 years. Proceeded in death by parents Jacob and Teresa Hatzenbeller, brothers Leonard, Bob, Raymond, and Joseph. Art is survived by his wife, Marge; son, Dwayne Hatzenbeller of Maplewood, MN; daughters, Sheila Wukawitz (Scott) and Denise Schmidt (Pat), both of Cottage Grove, MN; five grandchildren: Christopher Schmidt (Kacie), Jessica Schmidt, Aaron Wukawitz (Cassie), Bradley Schmidt, and Brianna Wukawitz; two great-grandchildren: Dawson and Keagan Schmidt, and three brothers, Theodore of Aberdeen, SD, Harold of Newport, MN, and Kenneth of Boise, ID and many nieces and nephews. There will be a celebration of life on Saturday March 30th, 2019 at the American Legion Post 98, 1225 Veterans Street, Cumberland, WI 54829 from 11:00am to 2:00pm. The family would like to thank St. Croix Hospice for making Art’s transition as comfortable as possible. In lieu of flowers please make any donations to St Croix Hospice, 1280 West Clairemont Ave, Ste 4, Eau Claire, WI 54701.